I bought this on a whim. I'm on the hunt for a moisturizing shampoo, so when I spotted this in the store I decided to give it a go. 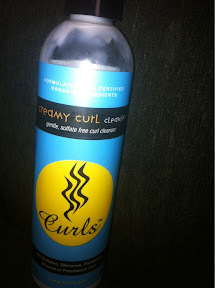 Review: This is the first shampoo I've used that didn't lather so it was a little weird. The consistency is that of a leave in conditioner. I felt like I had to use more than I normally would to actually get all of my hair clean. I absolutely love the smell. It's kinda like dulche de leche. Sweet but not overpowering. Would I purchase again? No. While it got my hair clean it really wasn't that moisturizing.